How To Increse Number Of #DigitalMarketing #Reviews? Digital marketing offers flooring retailers the opportunity to connect with new and existing customers in a convivial environment for little upfront cost. However, for it to pay real returns, digital marketing requires a significant commitment to activity on a frequent basis, a strategic approach and a bit of tactically applied capital as well. An online presence is comprised of several different components: a quality website, search engine optimization, pay-per-click advertising, online reviews and social media. All of these work in unison to create an online presence and, even more importantly, should work as a part of a larger, more traditional advertising strategy—not as a replacement of one. And the two most important tools for opening lines of communication with current and potential customers are social media and online reviews. Unlike buying a billboard, running a TV spot or taking out an ad in the local newspaper, social media requires no initial cost. Because a business can open a social media account and build a page free of charge, many small business owners mistakenly believe that they are participating in social media simply by being present and stand waiting for the Millennials to flood their showrooms. What’s worse, some make the mistake of cutting back on their traditional advertising once their social media accounts are in place, and then express frustration when they see flat or reduced revenues, wondering where they went wrong and blaming the newfangled technology for their woes. However, the fact is that social media demands active involvement on a frequent basis if it is to yield results. This can present a challenge for harried small business owners, who are already stretched thin with daily operations and feel uncertain about sending a private message on Facebook, let alone crafting a digital strategy. As of yet, few flooring retailers have a dedicated marketing professional on board—even fewer have one focused on social media—so many simply hand off the position as an added task to the youngest employee in house, assuming that their youth alone qualifies them for the job. However, just because an individual is adept at Tweeting about the Kardashian’s latest wardrobe malfunction doesn’t mean they are capable of crafting a digital marketing strategy for a business. Just as you wouldn’t hire your resident film buff to produce videos for your YouTube channel, you shouldn’t assume that personal use of social media qualifies someone to do any more than share the details of a promotion, post a picture from time to time or respond to basic consumer inquiries. Social media changes rapidly, so what works today may not be effective tomorrow. This means that, at the very least, the person handling social media for your business should be abreast of current developments in business use of social media and, ideally, should be enacting a digital strategy that you, or someone with a seasoned understanding of online marketing and etiquette, has established. Because it’s better for a business to have a few digital media accounts on which it is an active participant, both joining conversations and generating them, than a multitude of inactive ones, retailers ultimately must make choices about which and how many digital media they can best handle. They need to consider which ones will yield the desired results, which are feasible for the team to keep up with on a frequent basis and which set the business apart from the competition, communicating its unique offerings, strengths and skills. To that end, Irene Williams, founder of digital media firm Msg2Mkt, believes that, at present, the greatest social media tools for getting customers through the doors are Houzz, Instagram and Facebook—if retailers have the budget and time to use Facebook correctly. With digital marketing, the focus is on getting your brand’s message out into the world. Exposure can certainly help grow your revenue streams, and many clients will be willing to purchase your products or services after reading nothing more than your promotional material. However, there are a growing number of clients who look for independent reviews before they make a purchase. 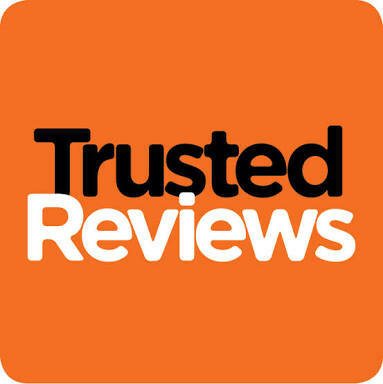 This trend has become so prevalent that one company offering now considers reviews to be an essential component of their marketing strategies. Independent reviews can be found all over the internet. Amazon lets buyers leave a note explaining what they thought about the product, and assign a rating from zero to five stars. There are many dedicated websites meant to review specific types of businesses. Yelp, for example, allows customers to create an account and rate their experience at a dining establishment. There are also many personally run blogs where individuals share their thoughts and feelings on specific products. Reviews are all over the internet, and many clients can find them with a simple Google search. According to a survey, 88 percent of consumers trust online reviews just as much as a personal recommendation. This means that if a client comes across a favorable review of your business online, this can be just as effective as having one of their friends personally recommend your business to them. This is an astounding figure, considering that many online recommendations are posted by strangers. In the same survey, it was discovered that only 12 percent of clients chose not to read reviews online. This means that every single client who leaves a positive review can have a massive impact on your businesses bottom line. Neglecting the power of reviews is simply leaving money on the table. Occasionally, getting reviews can be a challenge. You may have hundreds of customers enjoying the products or services that your company has to offer, but many of them will forget to leave a review online. On the other hand, one sour customer who had a bad experience may lash out and voice his frustrations online. This can give a slanted vision of your company. But how can you get your happy customers to share their positive experiences online? Sometimes all you have to do is ask. Many companies choose to incentivize their online reviews, offering a discount or bonus if clients leave a review. Others find that they don’t even need to offer incentives, as simply asking can be enough to drum up attention online. 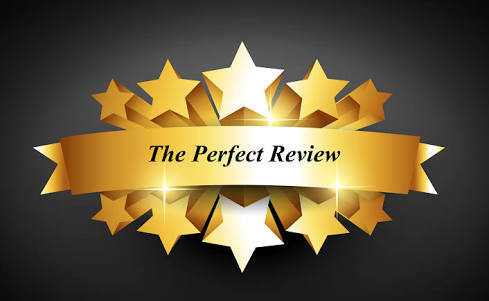 If you’re able to round up some reviews online, you’ll experience a number of powerful benefits. The first thing you’ll notice is an increase in conversion rate. Customers who search for your business online and find a number of positive experiences will trust you, and be more likely to choose you over your competitors. You’ll also notice an improvement to your ranking in Google’s search results. It’s been known for a while that businesses who are rated positively are more likely to rank for relevant search terms. If the reviews are left on your own website, this effect will be amplified. Google loves to see original content on your website, and every user submitted review increases the number of unique words featured on your site. Previous Post #GoogleBirthday And #Adwords New Features, You Need Help? Thanks for sharing this valuable information. As noted getting positive reviews from happy customers is hard but helps in getting more conversions.